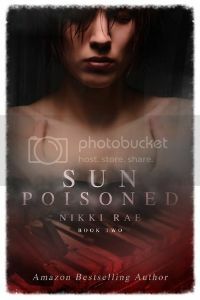 Today I'd like to welcome the phenomenal Nikki Rae and her upcoming release to Pure Jonel! This novel pulls you in right from the get-go. It’s one of those novels that anyone, teen and up, will love. In it, Rae walks that fine line where truth meets fiction and she does so with such flare that you can`t put the novel down, even for a second. I would, however, suggest reading the first novel before picking this one up, or you might be a little lost, but you’ll still be drawn right into the action. The clips of songs at the beginning of each chapter set the tone for the chapter. They pull you towards a feeling that permeates throughout the section. Rae`s phenomenally tuned in descriptions propel her readers into an entirely different realm where they live right along with the characters. She works comedic moments in with moments that make you think. She also incorporates some real tear jerker moments into this phenomenal work. It`s like real life on paper, with a rather supernatural twist. 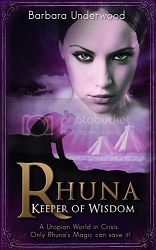 I absolutely love the characters that Rae has developed for this novel. They are phenomenally approachable and real, yet out of this world in their development. Rae picks up the characters from Sunshine and continues to develop them without drastically changing them in any way. Their dialogue is also very natural, flowing the way that people really speak. These characters are all so lively and lifelike that you can’t help but love them. You feel for them like they are your friends from high school. Above all I must commend Rae for her subject matter. She tackles some very difficult and taboo subjects with tact and flare. Rae brings them up as topics for conversation and as things to thing about with this phenomenal novel. Not only does she do that but she also does so with compassion and a mannerism that allows her readers to realise that these things are not abnormal phenomena, but rather the norm for part of society. Overall, this was a fan-frickin-tastic novel. Rae writes of drama naturally, and of the type of drama that happens in real life. This may be a story with a supernatural twist, but the realism that Rae captures so eloquently is absolutely divine. My last words???? Holy Cliff-hanger Batman!!!! Give me the sequel now! Really. NOW!!!! I need more of these fantabulous characters! Watch for this amazing novel's release on June 28th!!! !